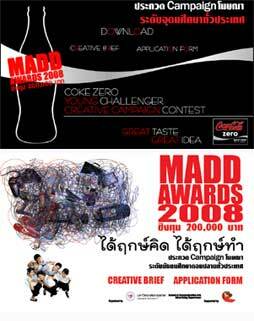 “Coke Zero Young Challenger Creative Campaign Contest"
Get 200,000 baht for High school Student and University Student. 1. On the back of art works have to have detail , competitor signature and teacher. 3. 1 team for 2 people. 4. each team send 1 Campaign. 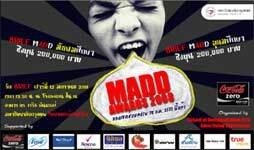 5. send art work at Bangkok University Major Advertising. Send art work until 28 January 2008.